Showing results by author "Deanne Siemer"
Knowing the technical bases for objections is not so difficult. Law school covers that. What is much harder is recognizing a good objection very quickly when your opponent puts a question to a witness or starts using a document. 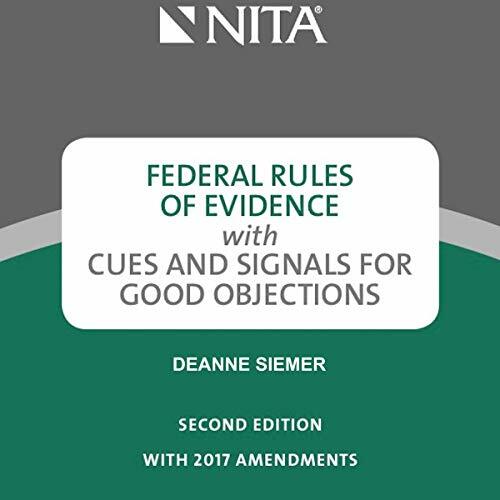 Cues and Signals gives you details on every objection that has been recognized in federal courts and sorts out the high-payoff objections from those of lower priority for both oral testimony and exhibits. Everything you need on objections is in one audiobook. You can get almost any exhibit admitted in evidence by following a few straight forward guidelines that are explained here. The easiest way to explain how to qualify exhibits is to use excerpts from transcripts - the actual questions asked and answers given - in a proceeding in which an exhibit similar to yours was put into evidence successfully. Each point in this guidance is explained this way. By using these examples, you have the structure for your deposition or trial notes. This book covers important general requirements for the use of exhibits in pretrial motions. For example, summary judgment motions often have exhibits attached that support substantive arguments about issues in the case. As a category of exhibits, replications are methods for recreating the "real thing". Unlike the recordings of the "real thing", like photographs, which show the real thing as it exists in real life, replications start from scratch and recreate or build a "copy" of the real thing. For example, animations are produced using very sophisticated computer software that can combine many forms of data with color and perspective to create a very lifelike reconstruction. In evidentiary terms, the next best thing to seeing the object or the scene itself, or hearing a witness who was at the scene is a recording of some kind that accurately reproduces the "real thing". The authenticity or trustworthiness of many of these exhibits must be established under Federal Rule 901(b)(9) or the state equivalent that applies to processes or systems. The output from equipment can be qualified by testimony that the process or system produces an accurate result. Illustrative documents may face challenges based on the requirements of the rules with respect to authentication. The key to admissibility of representational or illustrative documents is the degree of fairness and accuracy with which they represent the "real" thing - that is, the place, organization, object, or other thing being illustrated. 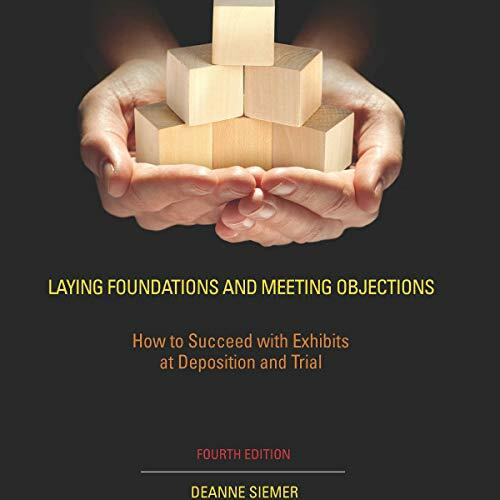 This book shows how to establish the needed foundation and to protect against objections. Text document exhibits are subject to the largest number of specialized evidentiary rules. The easiest way to deal with these rules is to consider first the general category into which the exhibit falls: It is either: an original, an exact duplicate with no markings that are not on the original, a "nonconforming" copy that has some markings that are not on the original, a summary of voluminous documents, or an email or other digital file. This kind of exhibit can be qualified either as evidence or as a testimony aid. Generally, you will want to offer charts and graphs in evidence because that way of organizing the data can qualify as "substantive evidence", and it is valuable to have the organized data before the jury during its deliberations. The "numbers documents" may be qualified by either a lay witness or by an expert witness. This book gives you the methodologies for both. Physical objects and substances are the "real thing". They are the physical things that are at issue in the case, such as defective parts, pieces of fabric, preserved specimens, and contaminated substances. They can be highly effective exhibits, so the establishing the foundation and preparing to defend against objections needs to be done carefully. Avoid common mistakes in laying an adequate foundation and prepare to defend against objections.